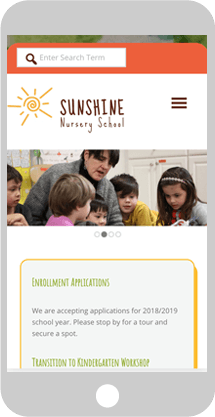 Sunshine Nursery School is a semi-cooperative preschool in Arlington, MA. 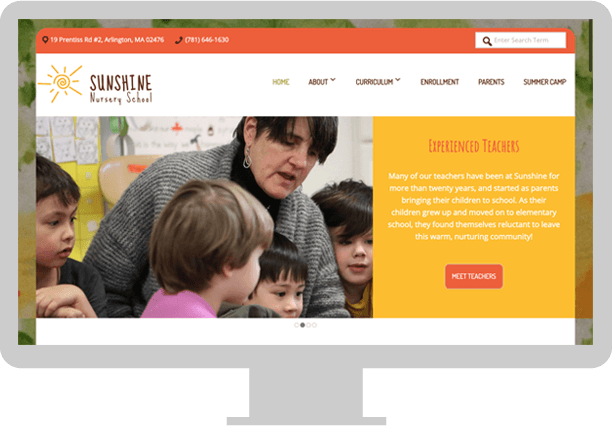 The client needed a website design that conveys the professional, fun, and educational environment of the school. I used their old logo as a starting point for the design inspiration. The final logo design is fun and playful and the website is modern, beautiful, and user-friendly. 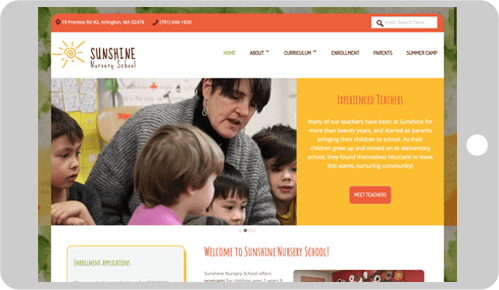 This is a responsive, Wordpress site created using a custom Genesis child theme that I designed and developed.